BUNKIE, La. – This year’s Louisiana National Guard Youth Leadership Camp held June 11-15 at the Cecil J. Picard Educational and Recreational Center in Bunkie marks the tenth year of the LANG’s commitment to training young men and women for leadership roles in their communities, state and nation. Open to dependents ages 14-17 of active or former LANG Guardsmen, Youth Leadership Camp fosters an environment where common experiences such as parents’ war-time deployments and emergency activations are shared, resilience strengthened and leadership skills honed. One of this year’s 32 participants, Hosea Jones (17), a recent graduate of Archbishop Shaw High School in New Orleans, shared his thoughts about YLC that began with his first YLC experience three years ago. “Before I came to this camp I was kind of scared … I was actually horrified of the idea of my mom going overseas and possibly getting shot. Since I came here, I know that there’s other people here who share the same thoughts as me and are scared too,” said Jones, whose mother is Sgt. 1st Class Robin Jones of Joint Force Headquarters. 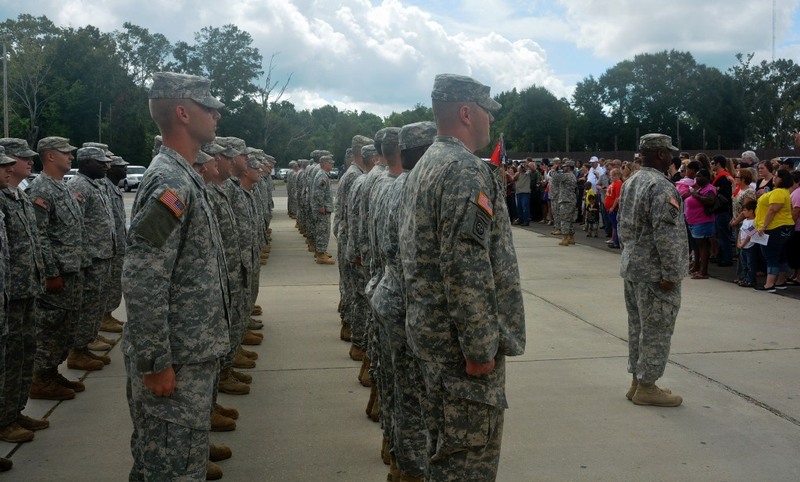 A first-year camper, Peyton White (14), a student at Ash High School in Alexandria, shared how her understanding of military service in the Guard has evolved as she’s grown older. “When my dad [Capt. Philip White, also of Joint Force Headquarters] first deployed I was really little so I didn’t really understand that he might not be coming home. But he did deploy recently in 2010 and now that I’ve been involved with camp I understand more of what the Guard is about,” said White. The most senior camper, Eileen Eichenauer (18), who just graduated from Pineville High School and will be attending Baylor University this fall, has been a camper and a junior counselor with the LANG’s youth camp programs since she was eight years old. She’s taken her Guard leadership training all the way to Washington D.C. where she represented the interests of Guard youth from Louisiana, Texas, Arkansas, Oklahoma and New Mexico this past year as a member of the National Guard Teen Panel. “When we’re at camp our thoughts and our feelings are facilitated in a safe and empowering way. We’re with people who understand what it is to be a military kid with professionals who know exactly what we’re thinking and what we know. Military kids – we serve too,” said Eichenauer, whose mother is Maj. Lida Eichenauer, also of Joint Force Headquarters. Jones, White and Eichenauer are putting their leadership skills to the test this week, June 16-20, as junior counselors for the La. 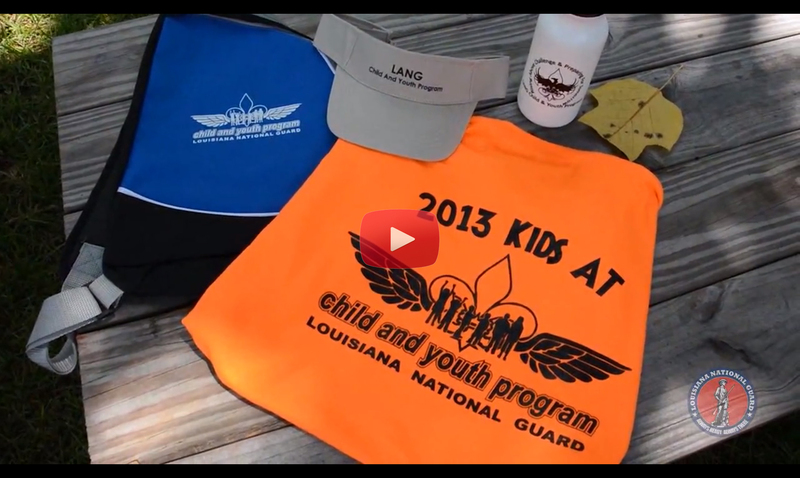 National Guard’s Kids’ AT (annual training) camp for LANG children ages 8-13. They’ll be joined by Gregory Parker (15) and another 20 or so of this year’s YLC campers. Parker attends Holy Cross High School in New Orleans and is the son of Lt. Col. Greg Parker of the 139th Regional Support Group. “Camps like this really bring out the best in you and let you know your abilities and your strengths and weaknesses. It builds you as a person,” said Parker. The director of the LANG’s Office of Family Programs, Maj. Ebony Carter, believes that behind the fun there is deeper purpose to offering camp experiences targeted solely for Guard children. “We want kids to come to a camp where everything is designed around their lives as dependents of Guard parents or caregivers. At Youth Leadership Camp and Kids’ AT, they have the opportunity to meet and spend time with other military kids who share similar life experiences. We use an “each one, teach one” method whereby many of the lessons about leadership and resilience are taught by the youth to each other. We have found that many of the lessons we are trying to teach are delivered more effectively this way – peer to peer,” Carter said. 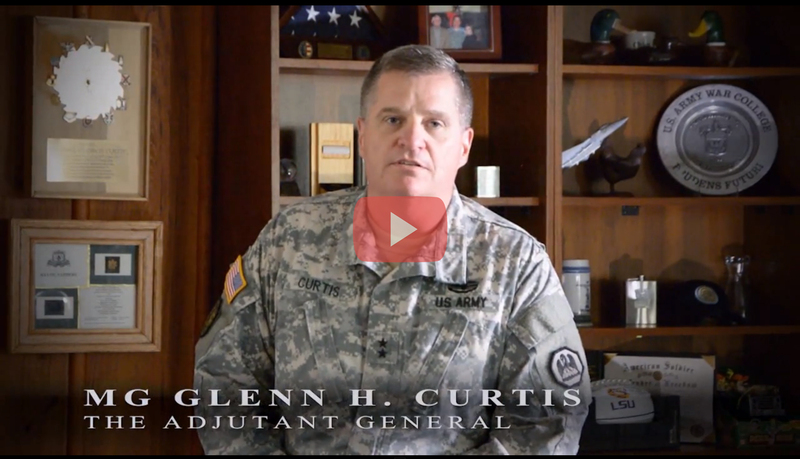 “In the big picture, Youth Leadership Camp and Kids’ AT directly support Guard readiness. We understand that when their children and families are taken care of, Soldiers and Airmen are more prepared and focused to tackle their critical missions, whether in support of emergency operations at home or in operations overseas,” Carter continued. Youth Leadership Camp and Kids’ AT are key Child and Youth Program initiatives directed by the LANG’s Office of Family Programs, in support of the personnel readiness mission of the Reintegration Office. The mission of the Child and Youth Program is to provide our Guard children, youth and families the support they need, when they need it. They offer youth an opportunity to interact with their peers in a safe and fun environment and provide access to resources specifically geared to meet the needs and challenges of Guard life.